The big beauty trend of 2016 so far seems to be color correcting. Although this technique has been used in the industry pretty much since the beginning, every brand these days is pushing this “trend.” Beauty Blender came out with a collection of color coordinated applicators, Tarte has a new cream palette, NYX has colored setting powders, MUFE has primers, the list goes on. And yes, I color correct everyday, I need it and I enjoy it. I do it on myself and my clients, but it is important to understand that there is no universal way to color correct. Just like everyone has their own shades of foundation that work for their skin tone, everyone has their own individual color correcting needs. I have seen far too many outrageous Instagram and YouTube “tutorials” on this technique, and feel that nearly 90% of what is out there is so unnecessary and is not coming from a place of knowledge or experience, but rather just hopping on the trend. If you’re one of the countless people out there looking at these videos and thinking “How the F*#% do I do that and why would I need to?” then stick around for this post. 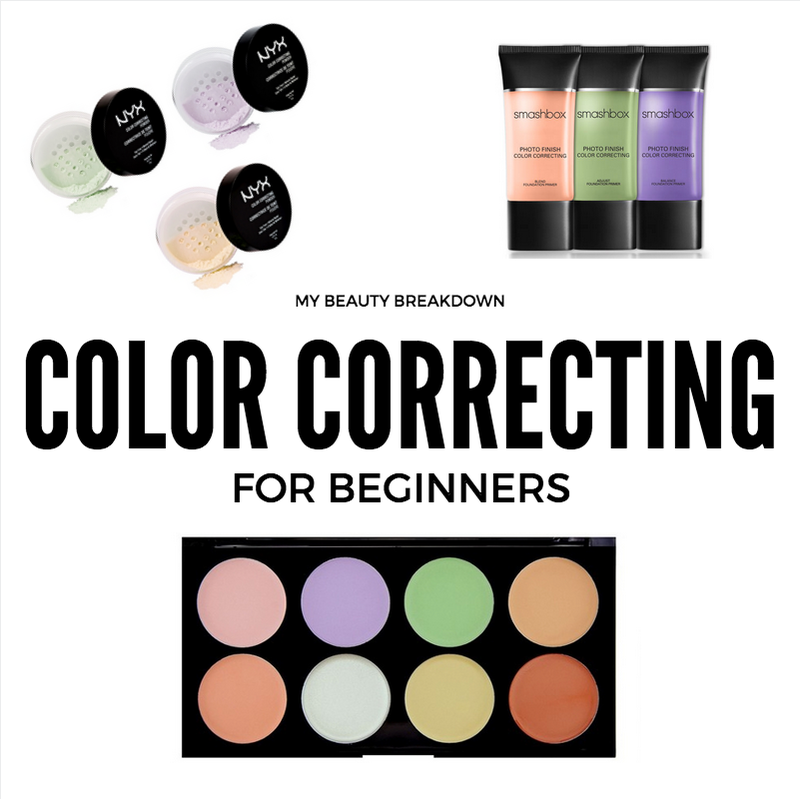 I’m going to lay out the color correcting basics for you and hopefully help you begin to understand what might work for you and your needs, and what is just completely wrong.